 Home  iOS 12  iOS 12 Devices  iOS 12 Download  Can I install iOS 12 on iPhone 5s? Apple released the final version of iOS 12. 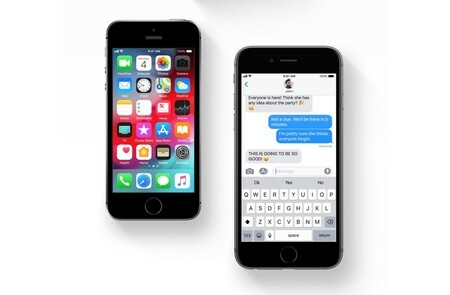 Will it be possible to install iOS 12 on the legendary and incredibly popular iPhone 5s in the world? We have an official answer! Can I install iOS 12 on iPhone 5s? Fortunately for all smartphone users, iOS 12 supports iPhone 5s! Apple announced that iOS 12 can be installed on all devices that have support for iOS 11. This means that the full list of supported iOS 12 devices looks like this. As we wrote earlier, iOS 12 managed to speed up Apple devices without sacrificing battery life. This also applies to the iPhone 5S, which has not lost a bit in its autonomy compared to iOS 11.4. Thus, iOS 12 is much better than iOS 11.4 in all respects. Install the update on the iPhone SE is necessary - it simply makes the smartphone better.